All dogs shed. Some maybe not as much, or as regularly as others, but they all lose hair. Weather and seasonal changes play a role, as does the breed of the dog and while you might not be able to stop it there are ways to manage it. In this article we are going to look at how to stop a dog shedding with 11 home remedies. If you’re concerned a quick visit to the vet will determine whether your dog’s hair loss is normal or if there is an underlying condition. While there is no way to stop shedding there are a number of home remedies to reduce the amount of hair that comes off your pooch, making life a little bit easier for allergy sufferers and to stop you looking like you’re wearing your dog when you leave the house. More often than not excessive shedding is due to a bad diet. It’s important to make sure your best friend is on a high-quality food. Cheap dog food is made up of fillers, most of which your pet can’t digest, like grains and corn. Ask your vet to recommend a food that lists meat as the main ingredient. It’s easier for your dog to digest and is absorbed into the system, resulting in a shiny coat, better health in the long run and less shedding. While a good quality food costs more it’ll save you money down the line, and chances are your vet will have a few options to meet all budgets. Yes, even Fido suffers from allergies or may be sensitive to certain ingredients in his food. If you notice a certain diet is leading to excessive shedding chat to your vet. There are loads of dog foods available that cater to this and your vet might be able to assist with samples of each until you find the one that’s just right. Adding Omega 3 fatty acids to your pet’s diet is an excellent way of improving the condition of their coat, reduce shedding and help calm any skin irritations. You can either fish like tuna, salmon or other fish which are rich in fatty acids or even include fish skins. Just remember to remove all fish bones – these are a serious choking hazard. 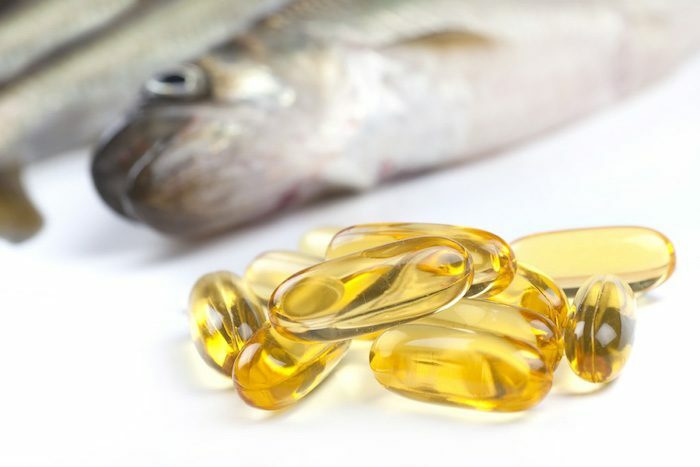 if you’re not too keen on fish you can use a fish oil supplement. Good pet stores will stock omega-supplements but always check with your vet as to which supplement would be best and also the correct dosage. Hypervitaminosis or vitamin poisoning, an overdose of vitamins, can lead to serious health issues for your dog. Olive oil or flaxseed oil added to your pooch’s diet will help with any skin conditions, reduce dandruff and shedding. One teaspoon per 10 pounds of body weight is usually a good amount, however, it’s worth checking with your vet. It goes without saying (hopefully) that your dog needs to stay hydrated. Make sure there is water around the clock. A healthy dog will drink as and when it needs to. Dehydration causes dry skin which can cause excessive shedding. It can also lead to illness and even death. If you’re concerned that your dog isn’t getting enough water you can add moist food into his or her diet. Unlike dry food that contains 10% moisture, wet food has up to 78%. Regular baths is a good way to get rid of loose hair but make sure you use the right shampoo and conditioner and never over-bath as this can lead to dry skin. Ask your vet how often your particular breed of dog should be bathed. Using a blow-dryer after a wash will help get rid of loose hair but make sure your pup doesn’t mind the noise and the sensation. Also, use the cool air setting or the lowest heat setting available. Remember to towel dry first and then blow dry. It’s important that you brush your dog’s coat on a regular basis. Not only do they love the attention but the brushing removes loose hair and it redistributes the skin oils which means a healthy looking coat and less shedding on your favorite chair. Different coats need different brushes, so be sure to choose the correct one. Check out our guide to buying the right brush for your dog. Bristle brushes – these are good for short haired breeds with smooth coats, like Pugs, a lot of the terrier breeds, Dachshunds, and Greyhounds. Slicker brushes– this type of brush has tiny, tightly-packed short wire pins and work well for breeds with medium or curly coats including Wire-haired terriers, spaniels, poodles, and Yorkies. Rakes – yes, it’s called a rake and for good reason. This type of brush is for dogs with long hair and thick undercoats, like German Shepherds, Newfoundlanders, Chows, and Collies. If you’re buying one of these make sure the pins are as long as your dog’s fur to make sure it reaches the undercoat for best results. Some breeds are just heavy shedders so it’s best to use de-shedding tools that you’ll find at your pet store or even at the vet. It’s best to use it on your pooch just before spring when your dog is prone to losing its winter coat and also in autumn when its winter coat starts growing. Interestingly dogs who live indoors most of the time will more than likely shed all year round. 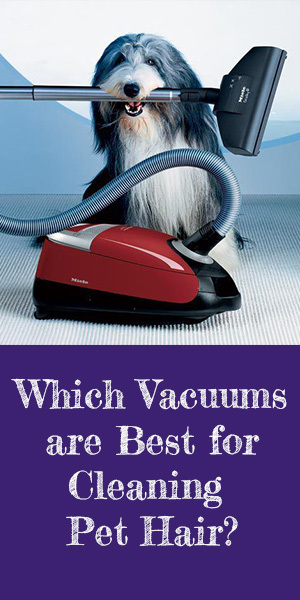 Get yourself a good vacuum to remove pet hair. There are loads available on the market that not only remove Fido’s fur, they also eliminate dust and allergens. The best advice is to try and vacuum as often as possible. It’s a pain but the sooner you do it the less time the fur has to get pushed into the fabric. A handheld vacuum might be a little more convenient than lugging your upright around every few minutes. Also, while it’s not necessarily pleasing to the eye, you can put a blanket or sheet over the furniture to protect it. My fav rake is the Paws Pamper undercoat rake, I use it on my husky and I always get a ton of hair out. I use it a couple times a week but it’s better than having fur all over the house!